The Trap was built around 1752 and initially operated as a private home. Its location of being about half way between Port Royal and Bowling Green earned it the nickname of the “Halfway House.” In 1777, a wealthy man by the name of Peyton Stern (whose land holdings in Caroline County at that time stretched over 2,000 acres and included what would become the Garrett family farm) started operating the building as a tavern. In the 1830’s the tavern was acquired by a man named George Washington Carter, whose family owned an adjacent land tract of 452 acres. George Washington Carter died in 1853 leaving his widow, Martha, to care for their large family of children. Similar to the Surratt Tavern in Prince George’s County, Maryland, Mrs. Carter would continue to operate the tavern as a means of income and offer lodging for visitors passing by on the road. The Trap also operated as the local post office in the same way the Surratt Tavern did. In 1865, Mrs. Carter was running The Trap with the help of her four daughters. The daughters were twins Martha and Mary (27), Sarah (23), and Agnes (20). On April 5, The Trap briefly received a fairly distinguished guest by the name of Thomas Conolly. Conolly was an Irish member of British parliament who had crossed the Atlantic to visit the Confederacy. He was well connected, wealthy, and was able to meet many of the Confederacy’s elite. 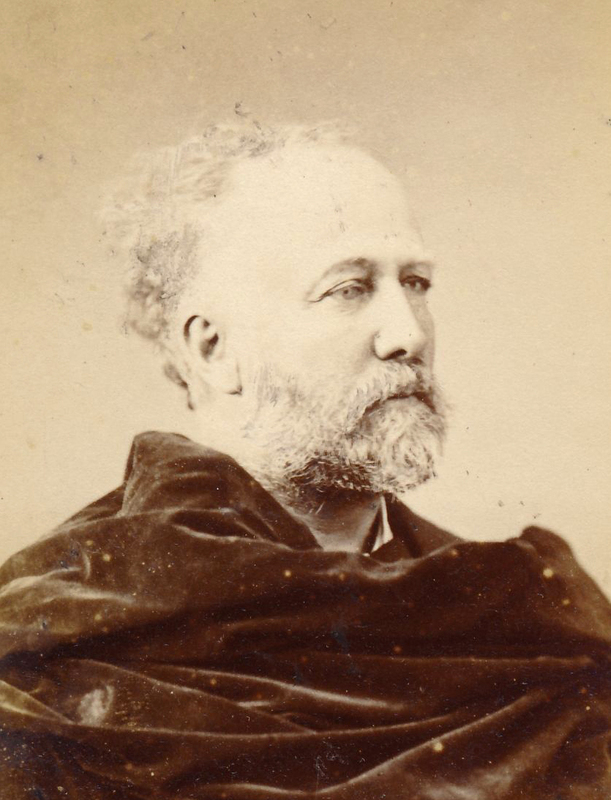 Conolly was lavishly wined and dined during his trip, likely in the hopes that impressing him would motivate him to convince his countrymen to support the Confederacy. Conolly had departed Richmond just before the Union troops seized it and was making his way north. He mentions his stop at The Trap in his diary which has been published as An Irishman in Dixie: Thomas Conolly’s Diary of the Fall of the Confederacy. Conolly’s diary paints The Trap as a bustling and busy tavern with soldiers anxious to get food and drink. It was, therefore, not out of the ordinary when, on April 24th, David Herold, Willie Jett, Mortimer Ruggles and Absalom Bainbridge stopped by The Trap after dropping John Wilkes Booth off at the Garrett farm. The men all took drinks while at The Trap and apparently discussed, within earshot of Mrs. Carter or her daughters, their plan to split up at Bowling Green and for Herold and Bainbridge to find lodging at Mrs. Clarke’s while Jett and Ruggles stayed at the Star Hotel. After their rest stop at The Trap, the man saddled back up and rode on to Bowling Green. About 12 hours later, on April 25th, David Herold, Absalom Bainbridge and Mortimer Ruggles returned to The Trap this time headed in the opposite direction. They had followed through on their plan to spend the night in and outside of Bowling Green and now Herold was heading back towards Booth with Ruggles and Bainbridge as his guides. Once again, Herold, Bainbridge and Ruggles took drinks at The Trap. Sadly we do not really know any of the conversation or even the amount of time the men stayed at The Trap before they bade the Carter ladies goodbye. David Herold was dropped off at the Garrett farm on April 25th and rejoined John Wilkes Booth who had been treated with much generosity and kindness by the unsuspecting Garretts. Bainbridge and Ruggles continued on the road until they reached Port Royal and witnessed a detachment of Union troops crossing the Rappahannock river. This was the 16th New York Cavalry and they had finally found John Wilkes Booth trail. The troops had learned from William Rollins in Port Conway that Booth had been seen in the company of Confederate soldiers, one of whom was Willie Jett. Mrs. Rollins knew that Willie Jett was dating a girl in Bowling Green and that they would likely be heading there. Bainbridge and Ruggles turned around and rode back to the Garretts to warn Booth and Herold before heading out of the area themselves. The 16th NY Cavalry, with William Rollins in tow, successfully crossed the Rappahannock and then began riding down the same road Booth and Herold had been on the day before. They unknowingly passed John Wilkes Booth and David Herold as they rode by the Garrett farm on their way to Bowling Green. By 9:00 pm, the band of soldiers found themselves at that old half way house, The Trap. This claim softened the Carter ladies’ dispositions and made them inclined to tell the soldiers all they could. They verified that a group of men had stopped by the day before on their way to Bowling Green and that three of them had come back a few hours before the troopers arrival. The Carters also mentioned having overheard the conversation about the men splitting up with some lodging at Mrs. Clarke’s home. The detectives contemplated splitting up the detachment in order to send some men to Mrs. Clarke’s and the rest on to Bowling Green, but decided to move, as a whole group, on to Bowling Green. The 16th NY was at The Trap for about a half hour to forty-five minutes before carrying on. In Bowling Green, the troopers found Willie Jett asleep in the Star Hotel. He immediately surrendered and informed the men that Booth was at the Garrett farm and that they had unwittingly gone right past him. They placed Jett under arrest and then hightailed it back up the road, passing right by The Trap again without stopping. The rest, as they say, is history. The 16th NY successfully corner John Wilkes Booth in the Garretts’ tobacco barn, light the barn on fire to smoke him out, and then Sergeant Boston Corbett paralyzes Booth with a gunshot wound to the neck. 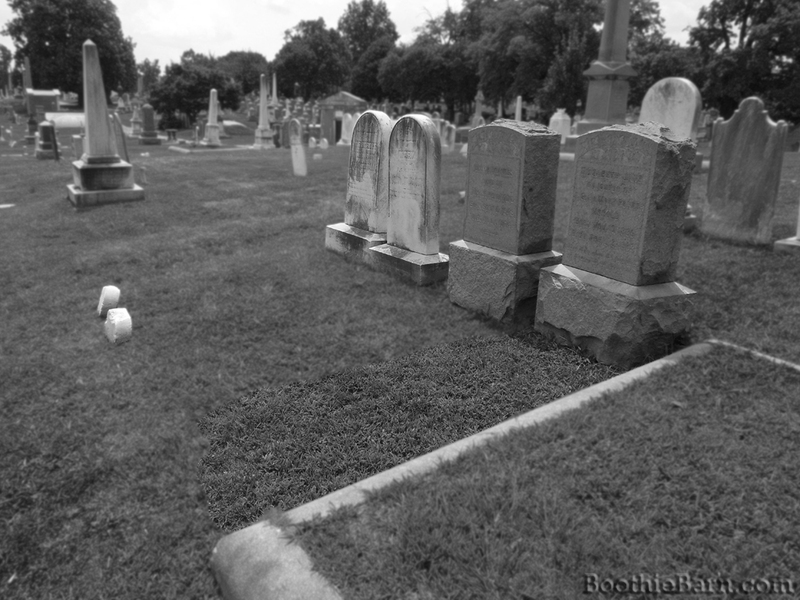 John Wilkes Booth dies around dawn on April 26, 1865. David Herold, two of the Garrett sons, William Rollins, and Booth’s body are all taken back up to Washington for trial, imprisonment and questioning, and burial, respectively. Mrs. Carter and her daughters likely heard later that the men the troopers were looking for at their tavern were not wanted for an outrage on a girl but, rather, for the assassination of Abraham Lincoln. After the Civil War, Mrs. Carter and her daughters continued to run The Trap as tavern. Out of the four daughters, only Agnes would marry but would be widowed soon after the birth of her own daughter. Unfortunately, times continued to be tough for the Carters and in 1870’s Mrs. Carter had defaulted on her loans. She sold off some of her land to try to stay afloat but in 1888 the land containing the tavern was auctioned off to pay for her debts. The tavern property was purchased by a man named George Lonesome who, in 1913, sold it to man named J. Harvey Whittaker. Sometime between 1900 and 1924, The Trap tavern was demolished. A subsequent owner named J. D. Smithers built and ran a store on the site from 1924 until 1941. During World War II, the United States government, in need of suitable training and maneuvering ground, seized and purchased over 77,000 acres of Caroline County, Virginia. Residents in the area were given between two weeks and two days to move out of their homes, taking all of their belongings with them, never to return. For many, the land seized by the government had been their homesteads for generations. It was a difficult time for many families in the area who had to leave the farms that had been in their families for years. Yet, the land provided to create the training grounds of Fort A.P. Hill was essential for the war effort. Today, Fort A.P.Hill is split in half by a highway, Route 301. The southern half, which contains the area of The Trap, is the home of various live weapons ranges and is practically always off limits to the public, even to those whose ancestors lived, died, and were buried there. That being said, today, June 11, 2016, was the 75th anniversary of the establishment of Fort A. P. Hill and as such they had various history exhibits and activities planned for the day that were open to the public. The activities included a one time tour of the Delos area where The Trap was located. 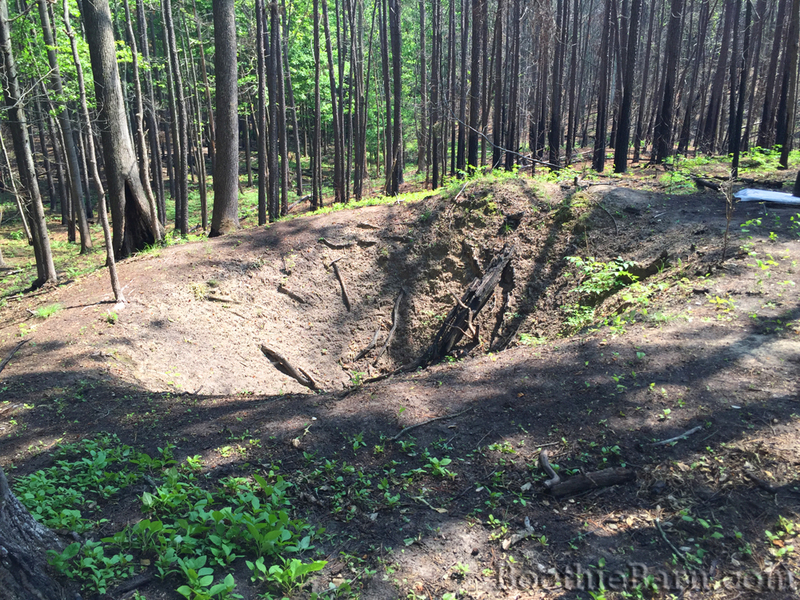 What follows are some pictures of The Trap site that David Herold and the members of the 16th New York Cavalry visited. This map was provided in a booklet tour participants received and shows a modern aerial photo of the sites with former land tracts superimposed over the image. The Trap tavern where Herold et al stopped is actually labelled here as #2 Smithers’ Store, as a man named Smithers ran a store on the former site of The Trap from 1924 – 1941. 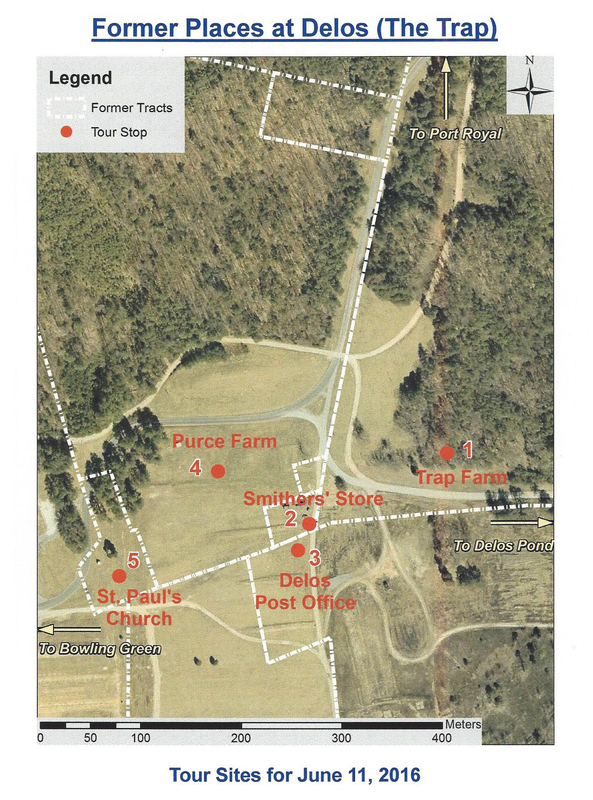 As stated above, the farm owned by George Washington Carter and inherited by Martha Carter was 452 acres which is why #1 is labeled as the Trap farm but is actually the location of a later home built on the property around the 1890’s. 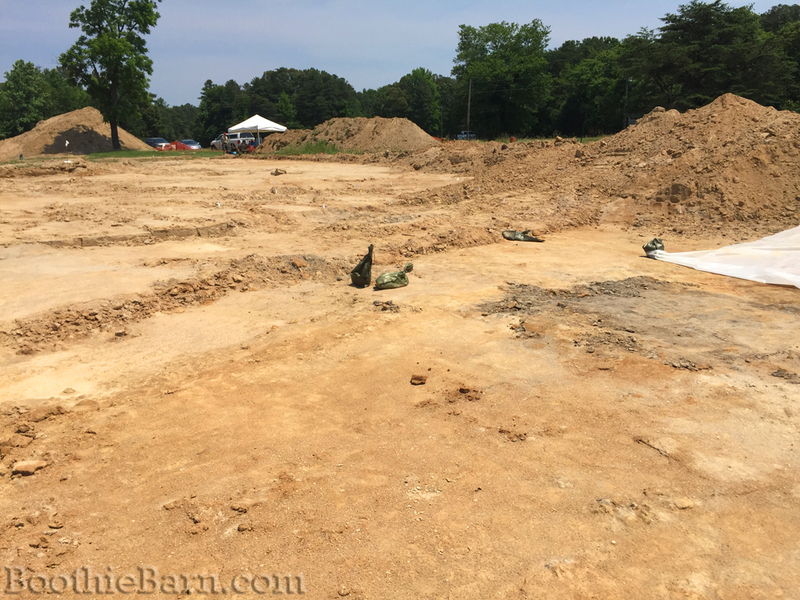 While the main residence that occupied #1 “Trap Farm” was built in the 1890’s, there are some remnants of a much earlier outbuilding in the area that was likely connected to the tavern. These pictures show what is left of an old, sizable ice house. In the days before refrigeration, families would essentially dig a large hole in the ground. The deeper you dig the cooler the earth is and at a certain point it can get close to 50 degrees Fahrenheit. 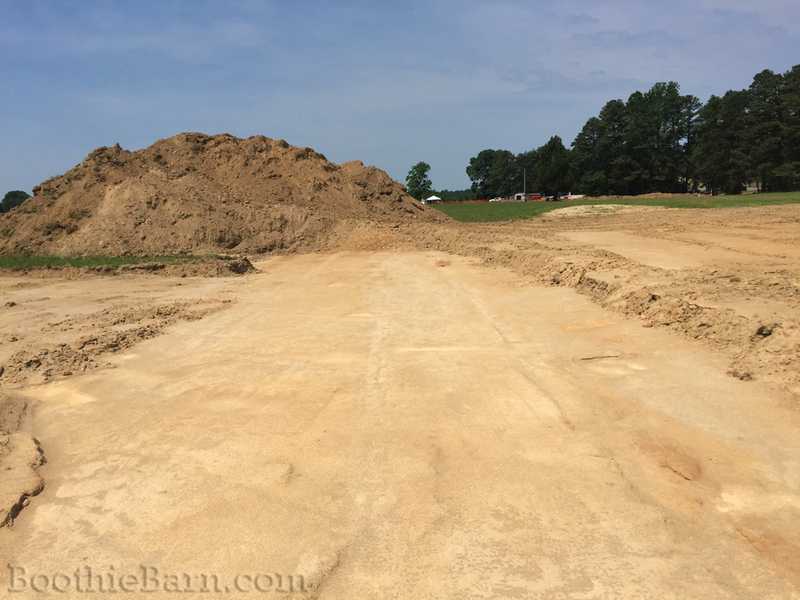 You would place your ice in these deep pits and then cover it with saw dust or another insulator to slow down melting, allowing you to have ice even in the summer months. The whole thing would then be covered with a primitive roof of some sort. The size and depth of this ice house and its relative proximity to The Trap tavern has led the archaeologists to conclude that this ice house was used by the tavern to provide them with their ice. 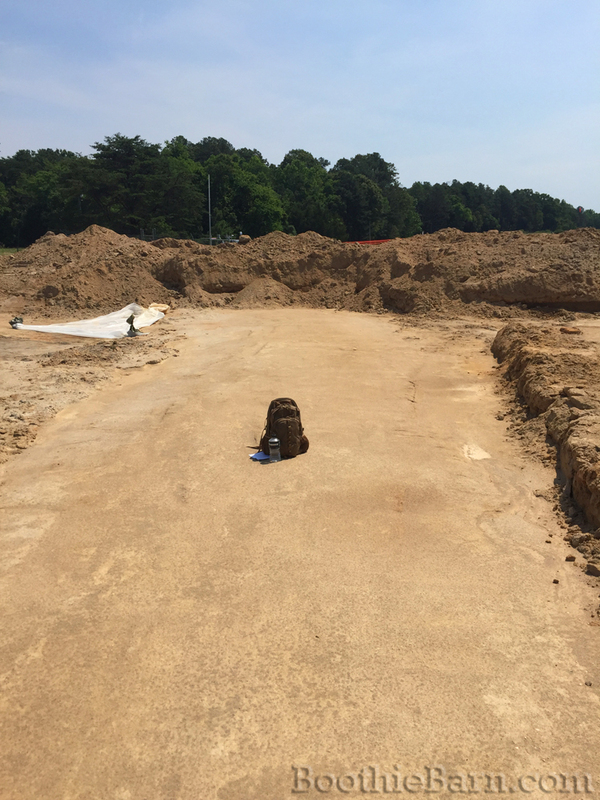 This image is a preface for the ones that follow and explains why much of The Trap site and the old road that ran right in front of it look like a construction site today. 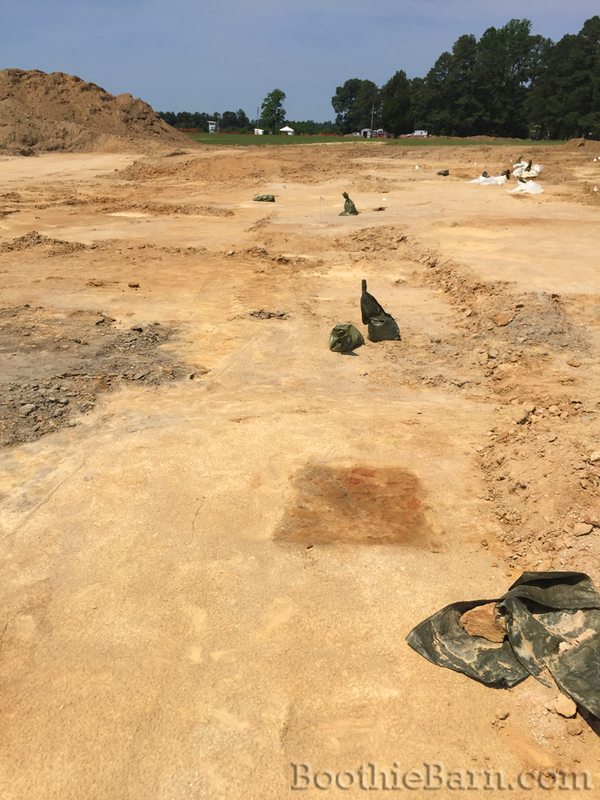 The entire site around The Trap is covered in this layer of “foreign dirt” that had to be removed before excavations could be done. In this image you can see very clearly the traces of the old “Rolling Road” that connected Bowling Green to Port Royal. This image is taken looking southwest in the direction of Bowling Green. This image shows the remains of the Rolling Road in the opposite direction. You can just make out at the end how the road is beginning to turn towards the left. Following that turn takes you north towards Port Royal. David Herold, Bainbridge, Ruggles, and the 16th New York Cavalry all traveled this road twice on their way to and from Bowling Green. These pictures show the site of The Trap tavern itself. In the top picture you can see a dark square in the foreground. That is one of the brick piers that the tavern sat on. It was highlighted by spraying it with water to make the color more noticeable. In the bottom image you can no longer see the square as the water has evaporated but it is located between the green bags in the middle. The bottom image is taken from the Rolling Road to give you an idea of how close to the road the tavern stood. It was located on this perfect spot where the road curved north making its own intersection. These are two images of Kate and me standing “in” The Trap. You can see the Rolling Road behind me. 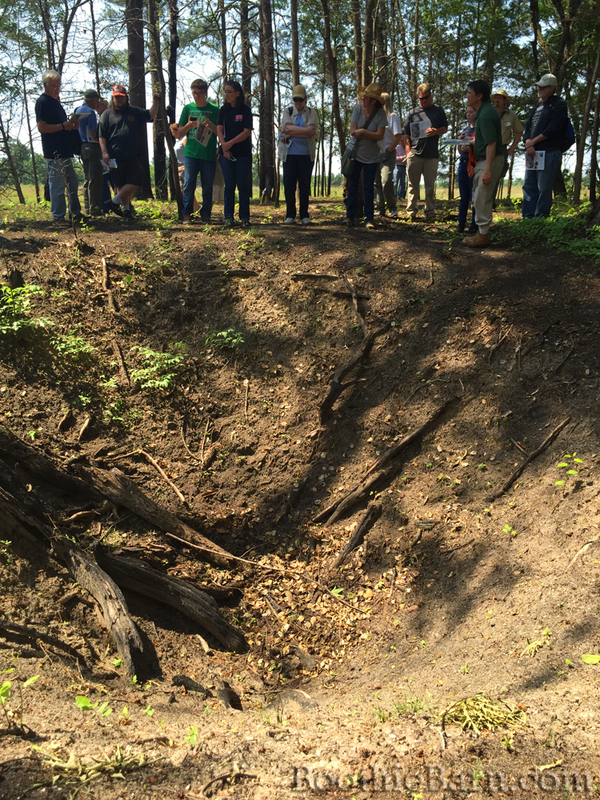 The tour of The Trap site was a wonderful experience and one that we felt lucky to take part in. The location of The Trap inside the boundaries of the live range area of Fort A. P. Hill insures that it will rarely be open to the public. 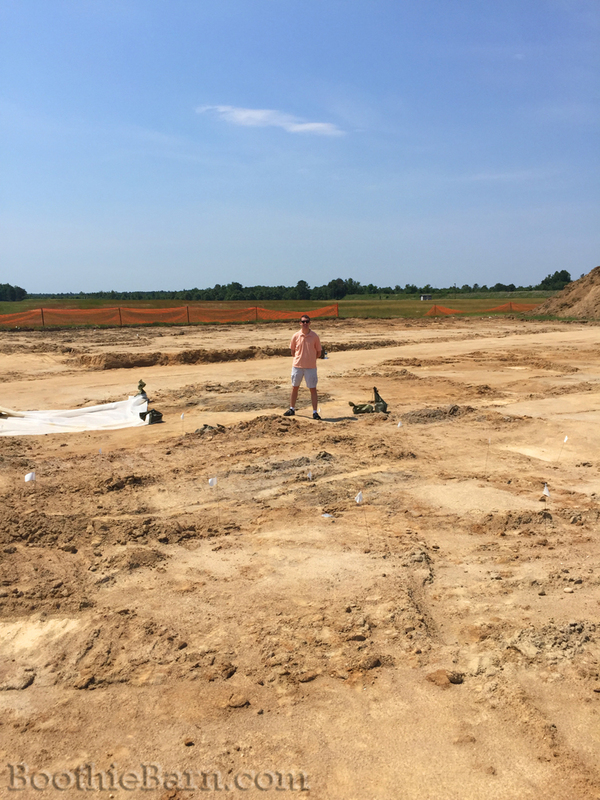 At the same time, Fort A. P. Hill seem to be the perfect stewards of the site and their archaeology efforts demonstrate their commitment to preserving the cultural heritage of the land they occupy. In closing, I would be remiss if I did not address the two “elephants in the room” when it comes to The Trap. One issue is the correct spelling of the tavern. I, like many others, have always spelled it as The Trappe. You can find this spelling in other texts and articles about the assassination. 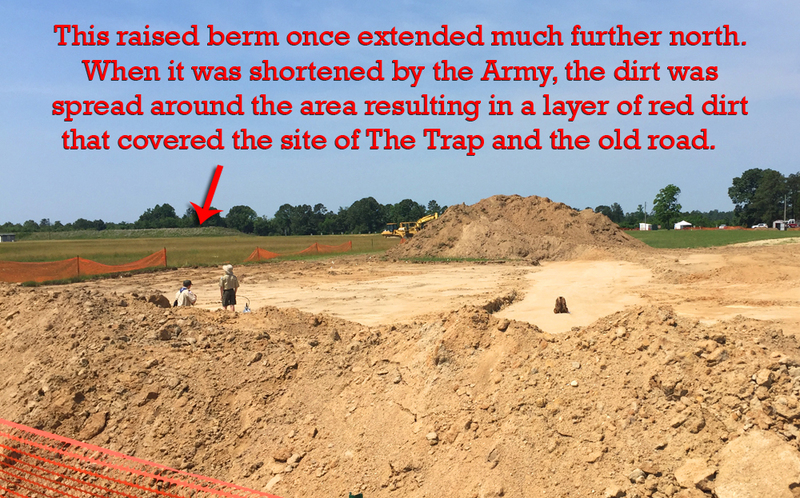 According to one of our guides for the day, John Mullins, the site was originally spelled Trap and not Trappe. John says that this spelling did not come about until the 1890’s or so and was likely started after the area became known as Delos. The spelling of The Trap with the extra “pe” was likely people’s inadvertent way of referring to the old name and making it seem ever older by giving it the old English spelling. The second item that I failed to address was the reputation of The Trap and the Carter ladies. Some texts and authors state that The Trap was a thinly disguised brothel run by Mrs. Carter and her daughters. When I first began researching the Lincoln assassination I heard from several knowledgeable individuals that The Trap had a slightly scandalous reputation. However, in researching the topic I have yet to come across anything that truly supports this idea. The origin of this misconception appears to be an April 27, 1865 statement from Luther Baker. In recounting the hunt for Booth, Baker shares the detachment’s stop at the Trap thusly: “About halfway to Bowling Green, which is 15 miles from the ferry, we stopped at a log house called the halfway house. We found there four or five ladies, who keep a house of entertainment.” Baker then proceeds to recount how no men were found in the house and how the ladies eventually gave them the information they needed. This wording that the Carter ladies kept a “house of entertainment” seems to be the fairly innocuous wellspring from which all unseemly rumors have flowed. However, in its early days, The Trap was a house of entertainment. Horse races and card games took place there. According to one of our guides for the tour, the name of The Trap was an old reference to how the tavern was a money trap for those who went there to play cards. Whether Mrs. Carter and her daughters still allowed card playing when they owned the tavern is unclear, but even if they did, a little card playing doesn’t equate to a house of sin. Unless better evidence can be found to support the idea that they were improper in anyway, I think Mrs. Carter and her daughters deserve to have their reputations vindicated. This past weekend, I attended the 2015 conference for the Society of Women and the Civil War. The organization, dedicated to increasing awareness and understanding of women’s lives and roles in the American Civil War, holds an annual conference in a different city and state each year. This year’s conference took place at Sweet Briar College in Sweet Briar, VA with built in excursions to nearby Lynchburg and Appomattox Court House. Kate will be speaking at the Society for Women and the Civil War conference in Sweet Briar, VA this weekend, so we're on way there. Willie Jett was one of the Confederate soldiers who met #JohnWilkesBooth & #DavidHerold at the ferry in Port Conway. Jett promised to help the men and took #JohnWilkesBooth to the Garrett farm. Jett then went onto Bowling Green to visit his girlfriend. Ned Emerson described #JohnWilkesBooth as, "the gentlest man I ever knew…" and "…always considerate of the other actors…"
In addition to these excursions, it was a weekend filled with fascinating speakers who professed new information about the varying roles of women during the Civil War. One of those speakers was Kate Ramirez, who spoke at length about Mary Surratt and the controversy of her trial and execution. Kate’s speech was met with great enthusiasm by the conference attendees and she is excited to be presenting it again at the upcoming Surratt Society Conference in 2016. During the conference another presenter gave some fascinating information about a Civil War era diarist who lived in Alexandria and Washington, D.C. for most of the war. The presenter later hinted to me that the diarist recorded several things relating to Lincoln’s assassination that would be worth checking out. I spent much of last night engrossed in her diaries and she does, indeed, have some wonderful firsthand accounts regarding the reaction to Lincoln’s death in the nation’s capital. I hope to publish my full research on her connections to the Lincoln assassination (there are many and some are quite exciting) in the next day or so. Stay tuned! A few weeks ago I had the pleasure of taking fellow Lincoln assassination researcher, Kate Ramirez, along the John Wilkes Booth escape route. During the day-long trek, she mentioned an article she had written about a glaring transcription error from one of the conspirator’s writings. I immediately asked her if I could publish her article on my site for us all to enjoy. What follows is Kate’s article, and another example of always looking at the original source material first, instead of relying on the work of others. Please do not reproduce the material printed here (excluding the images of the poem and of David Herold’s signature which are found at the National Archives) without the consent of the author, Kate Ramirez. In the aftermath of Abraham Lincoln’s assassination on April 14, 1865, southern actor turned assassin John Wilkes Booth and his fellow co conspirator David E. Herold were moving south in an effort to escape the chaos seizing the northern states and the Union soldiers thirsty for their blood. 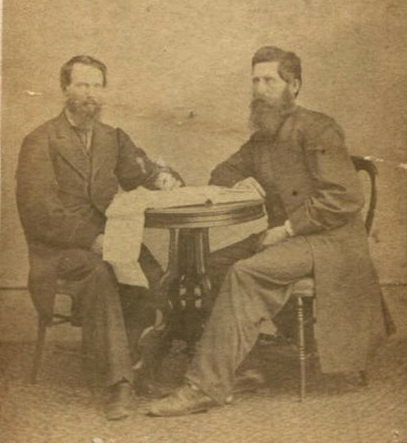 It was on the 24th, ten days after the nightmare at Ford’s Theatre, that Booth and Herold finally arrived in Port Conway, Virginia and proceeded across the Rappahannock River on what would be the final stages of their escape. Before crossing, the pair met a trio of Confederate soldiers. 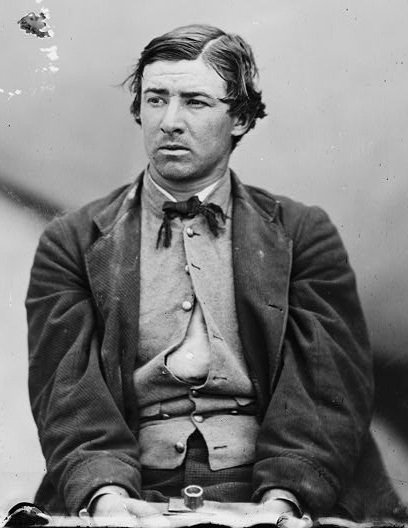 One, Private William “Willie” Jett, became the most well known of the three, often remembered as the man who betrayed Booth by leading the 16th New York Cavalry to the farm of Richard H. Garrett. There is a lesser known tale (which can be found in Michael Kauffman’s American Brutus) which tells of Jett asking the famous actor to sign something as a memento. In turn, Booth gave Jett something less incriminating than a signature: a poem. Booth and Herold wrote the poems shown above. The top section belongs to Booth and the bottom to Herold. Historians have copied the poems for numerous books and articles but none have ever realized that one word in Herold’s poem has been misread and therefore miswritten the same number of times. The word is arm. Or, as it has been recorded, brow. The mistake is something of a contradiction, small in size but rather large when one realizes it has been sitting in plain view since 1865 and no one has noticed it. The picture below shows where the word is found in the poem. All the sources I have seen record the line as, “She shyly clung upon his brow.” However, it is my belief that the line actually reads, “She shyly clung upon his arm,” which would make much more sense. Brow is another word for forehead. You cannot cling to it. However, you can cling to an arm. Some might argue that Herold’s poem rhymes and changing the words would throw off the rhyme scheme. After all, the words brow and arm sound nothing alike nor do they rhyme. While that is true, the word in question does not fall in the lines that rhyme. Herold’s poem rhymes the last word in every other line. In the photo below, the red arrows show the end words that rhyme. The black star is the word arm/brow. It does not have a matching rhyme. Here is a close up picture of the word being discussed. If it were the word brow, the letter O would be missing. Some might again argue that Herold was writing with a quick hand because he and Booth had to get moving. However, other words that include the letter O are written just fine. Look below at the words South and honor. All the letters are formed. There is clearly no O in the word thought to be brow. Another probable cause for the misreading is the fact that Herold looped the letter A in an interesting way. If looked at too fast, the letter can look like a lowercase b. However, if you examine the pictures below, which shows the words dark and daughter, you will notice that Herold often wrote the letter A with a similar loop. The final example involves the M in the word I believe to be arm. It appears to be the W of brow because of the extra line Herold left at the end. However, that line could also be decorative and Herold seemed to like writing with a decorative flair. Look at the photo of his signature below. Just as the M was mistaken for a W, those fancy penmanship loops that decorate the H in Herold and the final D in David could both be mistaken for the letter E if glanced at too quick. Such letter loops look to have been part of Herold’s writing style and he incorporated them in, probably subconsciously, when he could. Let’s review. The word arm would make more sense in the context of the poem than the word brow, changing the word would not affect the rhyme scheme, the letter O appears to be missing and not just squished in with the other letters due to quick writing, the letter A is looped and not the letter B, and the letter M has an extra embellishment and is not the letter W. Now look at the word again. See what I’m talking about? The word once thought to be brow actually appears to be the word arm. About the author: Kate Ramirez (also known under her penname Kate H.) is an avid writer and researcher of the Lincoln assassination. Her main focus within that topic is the lives of the conspirators and the defense of their names and voices.